In September 2017, Hurricane Maria ripped through the Caribbean devastating the U.S. territory of Puerto Rico. The Category 5 hurricane made national and international news and left many people questioning America’s relationship with Puerto Rico, and if the U.S. government had done enough to aid the island nation. Nearly a year later, the island is still rebuilding but eagerly welcoming visitors to the island to stimulate Puerto Rico’s economy. This is one of the many reasons I am spending a month volunteering in a youth hostel in San Juan. 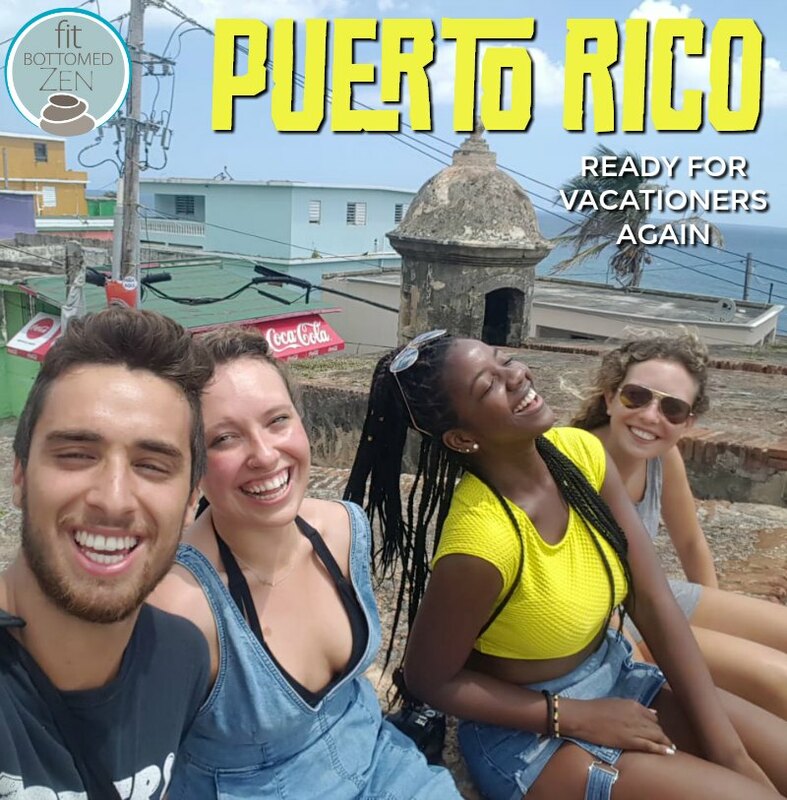 When you go out in San Juan, you feel like you’re are starring in Luis Fonsi’s and Daddy Yankee’s music video, “Despacito.” And if you venture into old San Juan you will find the neighborhood of La Perla where they filmed their music video. In essence, San Juan encapsulates beach life and reggaeton. The city has rebuilt remarkably fast, and you wouldn’t guess that it was underwater less than a year ago. San Juan encapsulates beach life and is ready for vacationers, especially if you’re single. El Yunque is the only tropical rainforest in the national forest system, and it is known for its lush green mountains and incredible biodiversity. Despite continuous recovery after Hurricane Maria, much of the forest remains closed. I love to play outside and found this news disappointing. However, there are still plenty of trails that are hikeable and waterfalls that are jumpable. Las Pailas was by far my favorite part of the forest I’ve visited and an excellent place if you’re looking for an adrenaline rush. Las Pailas offers an incredible natural water slide and 40-foot cliff jump into a waterfall. There is also a scenic lower pool where you can relax and jump from smaller cliffs. While much of El Yunque remains closed, volunteers are working hard to restore trails. The forest itself is also doing an impressive job of bearing new life, and naturally restoring its ecosystem. There are still people — especially underprivileged people — who are fighting the devastating impact of Hurricane Maria, but from a tourist perspective the island offers a dream vacation. With gorgeous beaches, night life, and an impressive national forest, what’s not to like? The United States is lucky to have Puerto Rico, and one of the best ways we can support the people of Puerto Rico is by fueling its local economy by visiting, and of course treating the gorgeous island with respect.